Riviera Estates is an affordable, quality 55+ community offering a lifestyle in an area where services, entertainment, and convenience abound. Our location offers you the charm and simplicity in the heart of Clearwater, Pinellas County, Florida. With Pinellas County being ranked the largest metropolitan county in Florida you are sure to encounter great access to healthcare, the best city beaches on the Gulf of Mexico and fun! 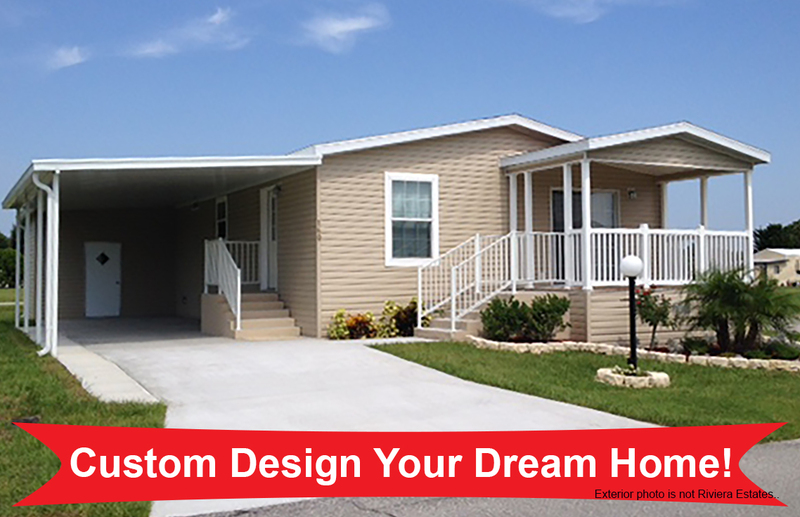 Design the home of your dreams now at Riviera Estates! Why settle for someone else's dream when you can have your own? Design a brand new home for one of the lots in Riviera Estates. Design your dream home with one of these manufacturers: Skyline, Jacobson, Palm Harbor, Homes of Merit and many others! Call us today at (727) 784-1320 for more information and to get the process started. July 21, 2018 Grouper week starts on Saturday July 21st and lasts until Sunday July 29th. Events will be held throughout the week to celebrate the tasty, flaky white fish that is such a major part of St. Petersburg. Click the link above for more information. July 14, 2018 Support the local artists and keep cool in the summer heat at PAVA's 30th Annual Cool Artshow in St. Petersburg. Click the link above for more information.